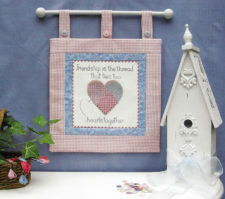 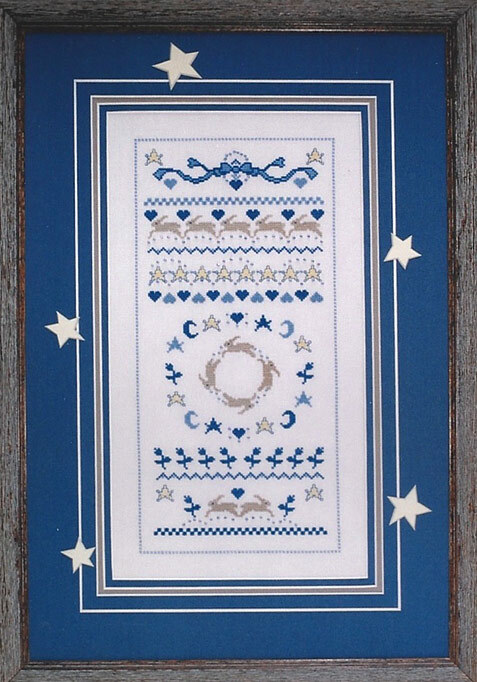 A pastel blue ribbon, glimmering stars, and traditional hearts all combine on this whimsical pattern. 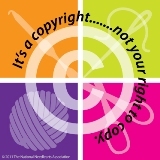 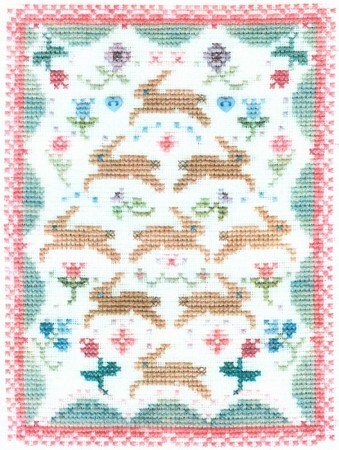 Rabbits run along the top and bottom borders and circle the center of the pattern. 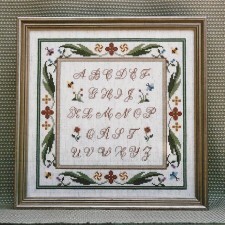 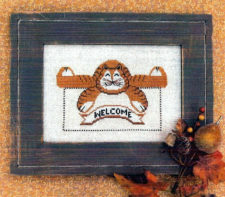 Decorative borders along with glass beads are used as accents throughout the design.